Congrats, what a beautiful new Yacht Master! That sunburst silver/grey (or maybe it's anthracite) dial is gorgeous, and the contrasting tones of the applied markers and bezel give it some wonderful character. Add that smallest splash of color with the seconds hands and Yacht Master print, as well as what looks like perfect sizing for your wrist, and you have a truly wonderful timepiece there! Thank you. 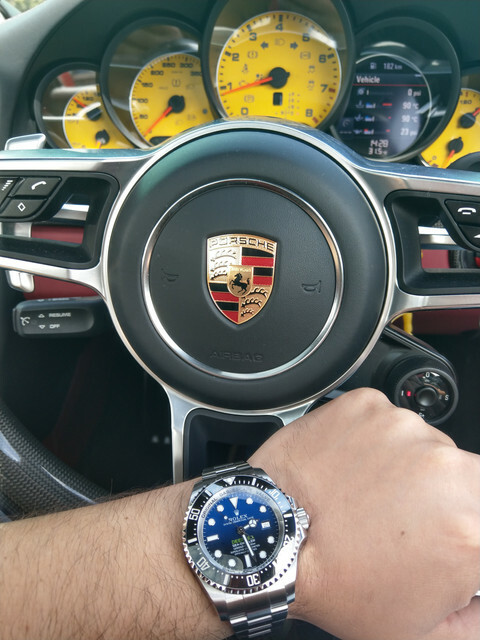 The dial color is called dark rhodium. Nice. And congrats on getting a sporty Rolex during this supposed Rolex “shortage”. I was told I was darn lucky I bought my Submariner two years ago when I did, right before the Rolex crunch. Ah, dark rhodium certainly sounds nicer, haha. Thanks for the reply! Thanks Chuck. Submariner availability (along with most of the professional models) is certainly tight right now. Some wonderful watches in this thread. Really like the classic pieces (although I prefer larger modern watches for myself!). Very nice watches! Looks like you've worn the heck out of that middle AP! Good for you! Thanks! 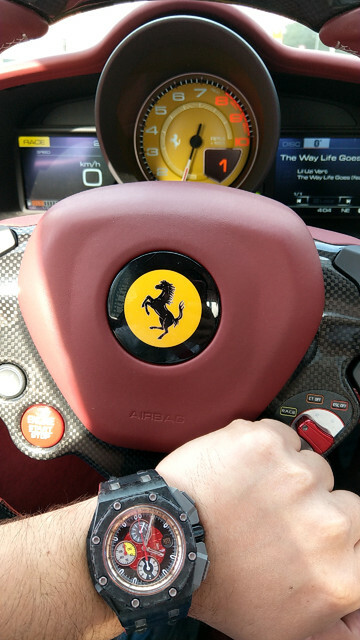 No that is the forged carbon Grand Prix, actually haven't worn in that much, my watches rotate a lot. It has a very soft, crappy bezel. Kind of adds to it's character. 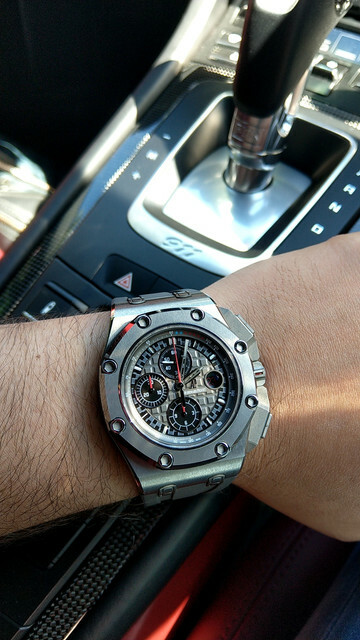 Although some people have switched for the ceramic bezel which gives it a refresh. Let's talk about some firsts: tea, fig, hedione etc.